I think I just found one more place to go when I'm craving for Japanese food! Thanks Nicole for letting me tagged along for the food review! 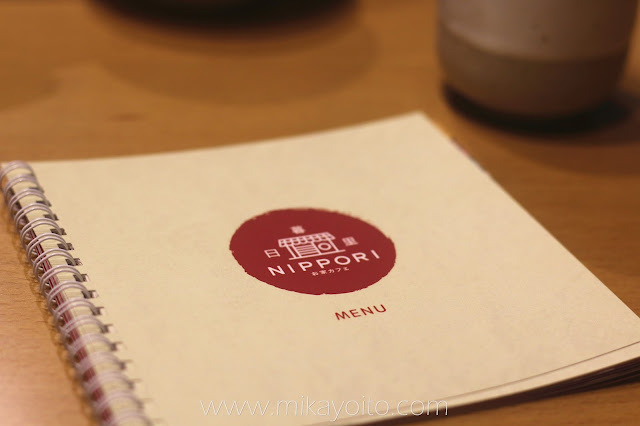 We visited Nippori at Empire Damansara, a lovely Japanese home cooking cafe. I'm so excited when it is about Japanese food, you know I like Japanese things a lot. 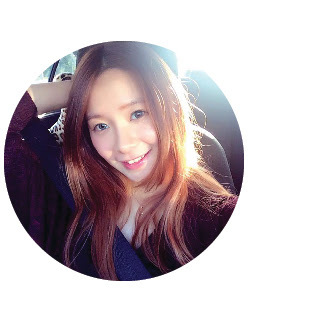 The setting here gives out a feeling of being at home, warm, relaxing and comfortable. Most of the furniture is wooden made. Japanese home cooking is full of flavor and light on ingredients. 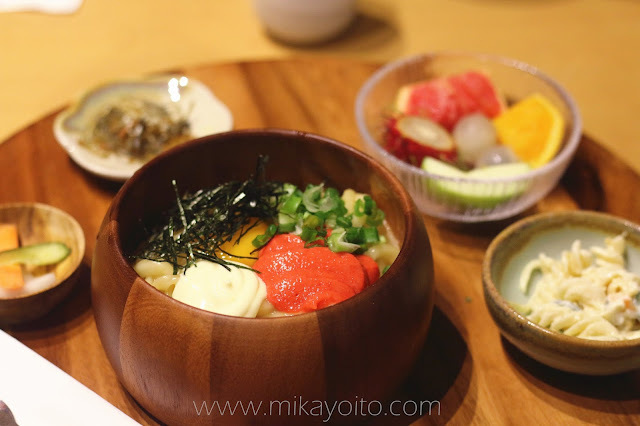 The Japanese chef from Nippori makes everything from scratch with fresh ingredients. 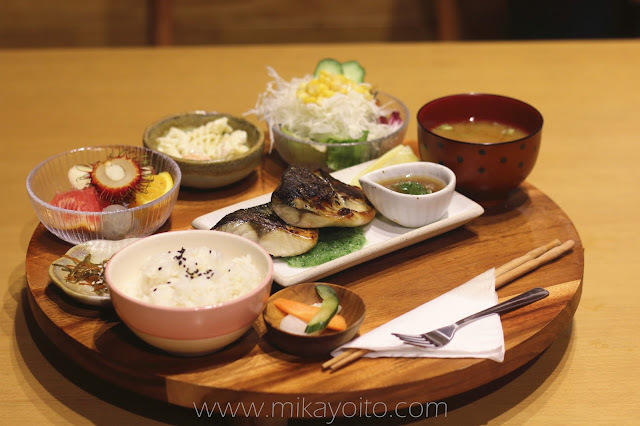 Nippori offers Teishoku (set meal that comes with a main dish, rice, pasta salad, vegetables, miso soup and fruits), Donburi (steamed rice bowl top with various ingredients) and Udon. 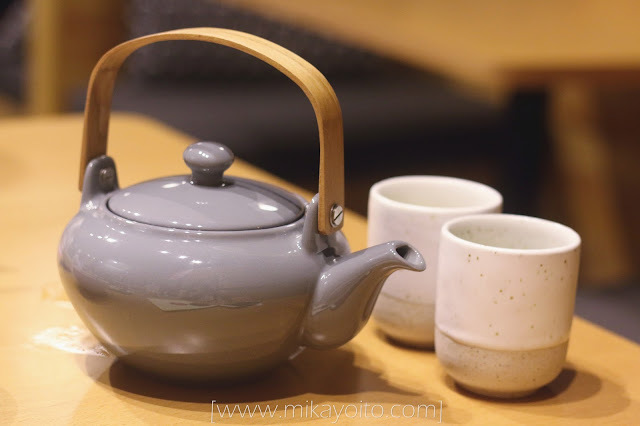 They served premium green tea from Kagoshima for customers. Melon Cream Soda is quite popular in Japan, it is the base of Japanese cream soda. 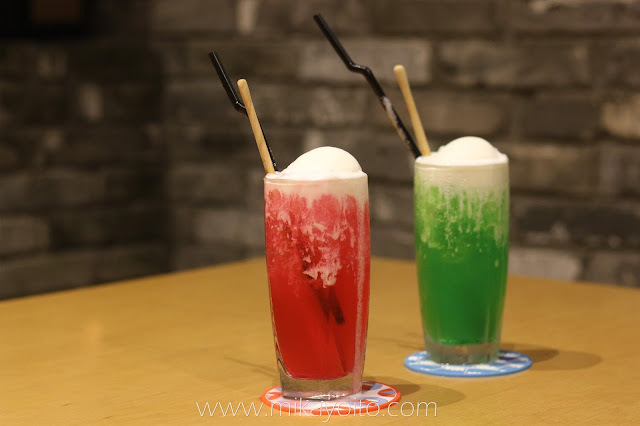 Melon flavored soda drink with a scoop of Vanilla Ice Cream is so refreshing, the melon syrup doesn't taste anything like melons, but it tastes quite good. We also tried Strawberry flavor Cream Soda. 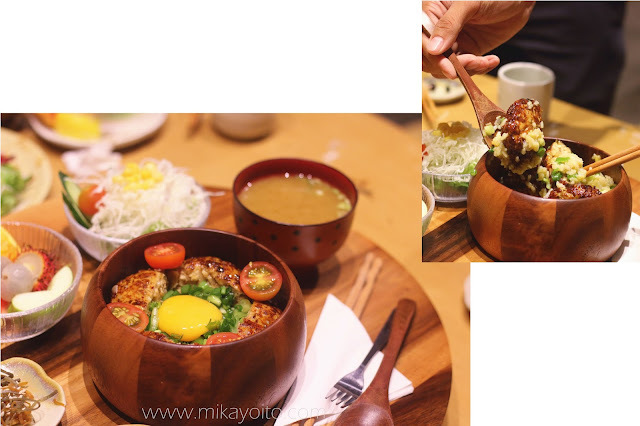 Our top favorite goes to the Mentai Udon with Mini Karaage, this is the signature dish that you must try, the noodles are so chewy! Mix the soft-boiled egg, Mentai (fish roe), Nori (seaweed), green scallions and homemade sauce together with the Udon, remember to eat this while hot. Tofu with Minced Chicken Donburi, minced Chicken breast meat blended with Japanese Tofu and added with Sweet Soy Sauce. The Tofu helps turn the Chicken mince patties even more tender with moist and the egg yolk gives this bowl of rice a creamy texture, so delicious! Can I have one more please? 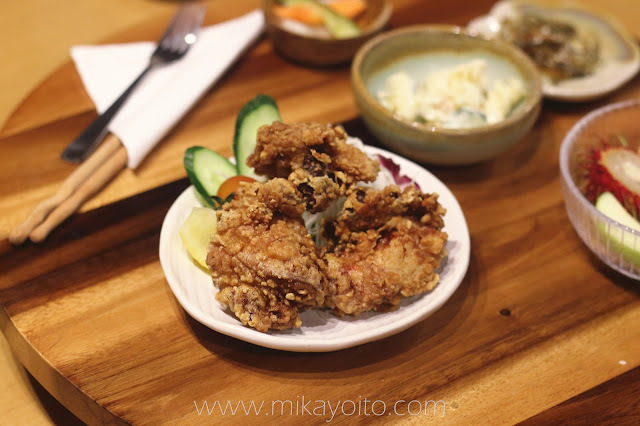 Order Juicy Chicken Katsu with Miso Sauce if you like juicy and tender chicken breast. 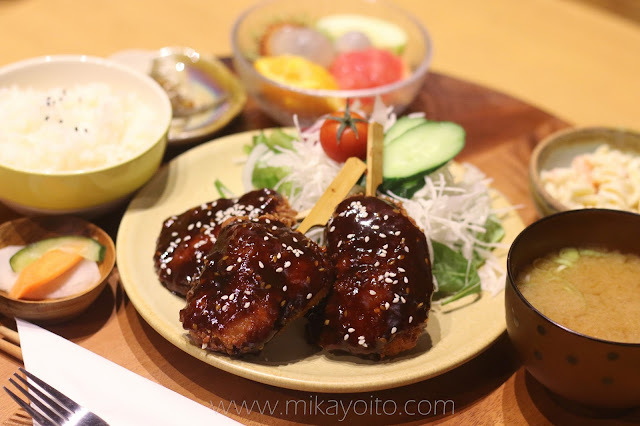 The chicken breast is marinated overnight with special homemade Sweet Miso Soup for a richer flavor. The sauce is very special and tasty, don't miss this out. Minced Chicken with Lotus is a common dish found in Japanese home cooking, it was my first time to eat chicken with lotus, the texture is quite special, crunchy with a slightly sweet aftertaste. Lotus root is a great source of vitamins and minerals. My favorite Salmon! Of course I need to order this. 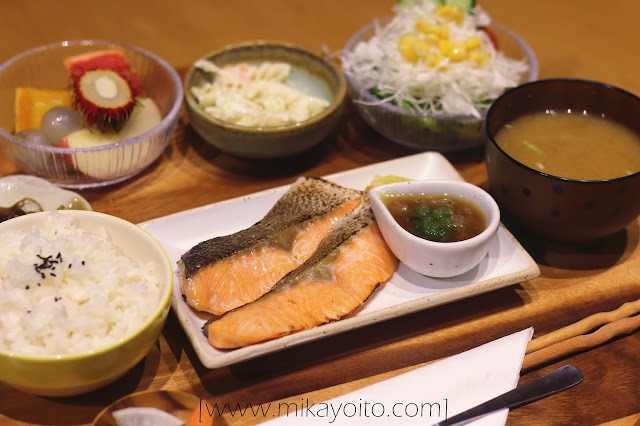 The Grilled Salmon is tender and soft with salty-sweet taste, I like it. 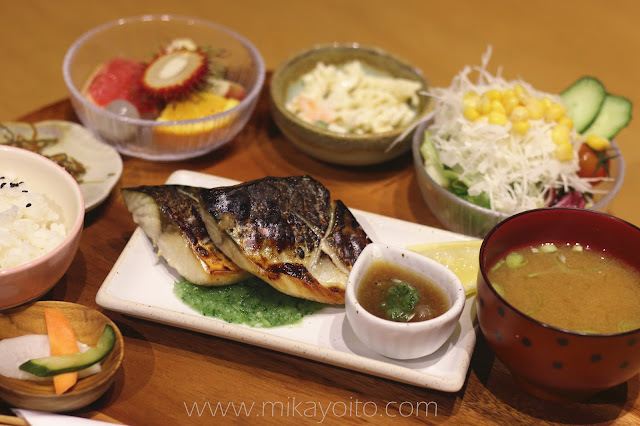 Saba with Yasai Oroshi, grilled Saba (Mackerel Fish) with sea salt. The flavor comes from salt and the fish itself tastes good. We had Japanese Shaved Ice, Chocolate Strawberry Kakigori to conclude our meals. 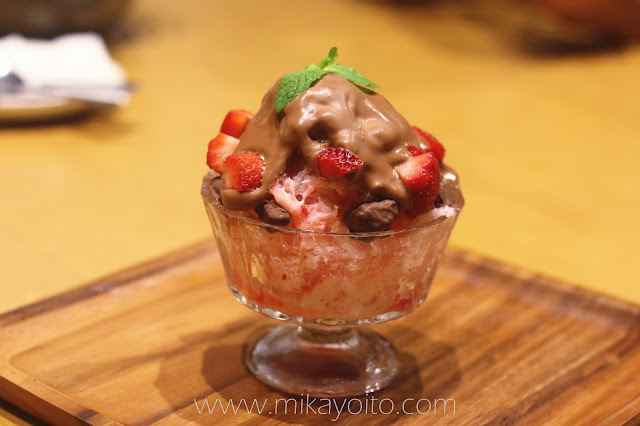 Handmade shaved ice (made from mineral water) is topped with Strawberry syrup, Strawberry cube and Chocolate. The ice itself is so soft, light and melts right in my mouth, I miss this so much right now. I want to try Strawberry Cheese Cake Kakigori on my next visit! I love this kind of Japanese cafe that served home cooked meals, food prepared with love and care always taste better and healthier. 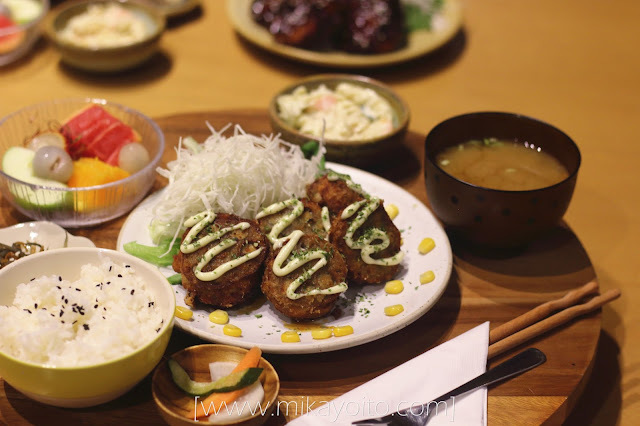 Highly recommended to anyone who likes Japanese food like me!